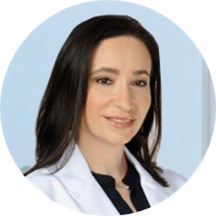 A dermatologist, Dr. Irina Milman looks after the locals of Lake Worth, FL. She is available for consultations and examinations at Waters Edge Dermatology, where patients visit her for a variety of medical concerns. She believes in providing medical care that suits her patients' skin needs. Dr. Milman graduated from Nova Southeastern University, where she earned her medical degree. Post this, she attended Broward General Medical Center, FL, where she completed an internship and a residency in family medicine. She completed another residency in dermatology at North Fulton Regional Hospital. She is also certified by the American Osteopathic Board of Dermatology. Dr. Milman is an active member of many societies, including the American Osteopathic Association, American Osteopathic College of Dermatology, and the American Academy of Family Physicians. Her philosophy for skin care is simple: it should be easy, intelligent, and help you feel great not only on the outside but the inside as well.